FutureNet’s Second Restaurant is open! And it’s FuturoCoin friendly! FutureNet’s Second Restaurant is open! And it’s FuturoCoin friendly! The FutureNet restaurant business is growing strong! Six months ago we celebrated the opening of the first FutureNet Cafe in Poland. Now we we welcome the next restaurant in the city center of Warsaw. The official Grand Opening of Aurelio – Restauracja, Sztuka, Emocje took place in Warsaw on Saturday night. It was a spectacular show, with fantastic artists performances, a charity auction for FutureNet Foundation, and much more! Check the photos from the opening ceremony! Good news for FuturoCoin owners! Payments in cryptocurrency are available at Aurelio Restaurant. Even better, everyone who pays in FTO gets additional discounts and special offers. Want to transfer your cryptocurrency? 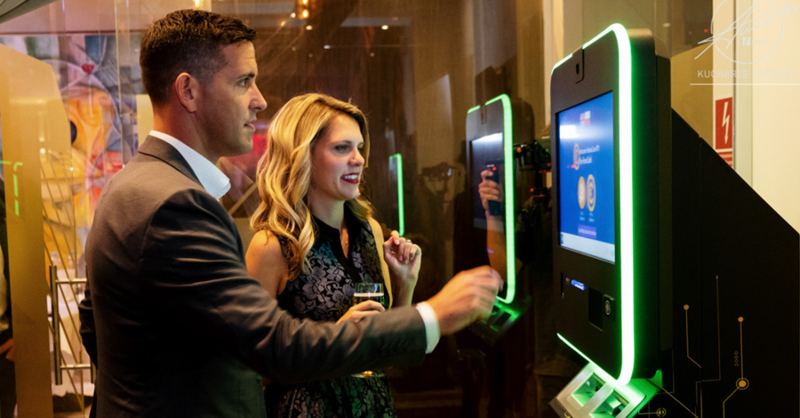 you can use one of the ATM’s located in FutureNet Restaurant. You can already visit Aurelio restaurant in Warsaw. FTO listed on the 8th exchange platform! Hard Fork: What Is It? FuturoCoin Conference: What an EVENT! FTO is now available on BitForex! © 2019 FutureNet, All Right Reserved.